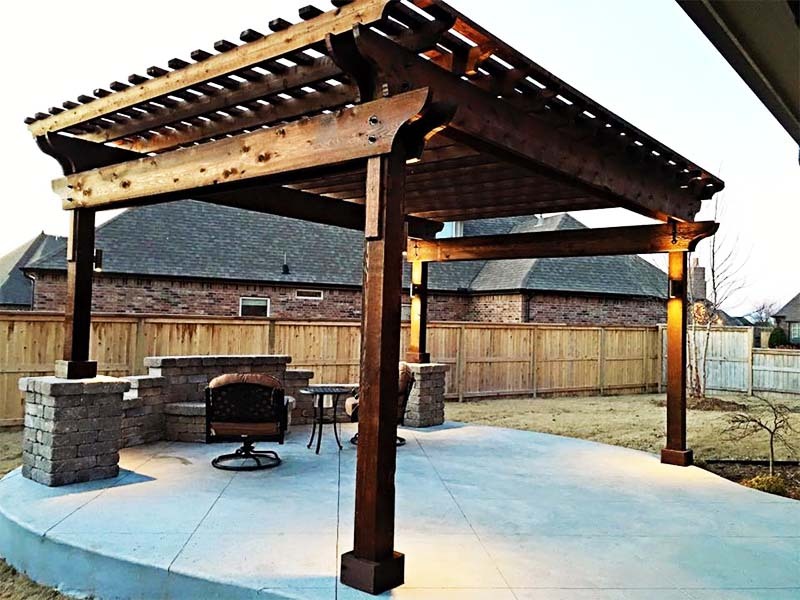 We are your contractor for custom pavilions and pergolas in Tulsa. 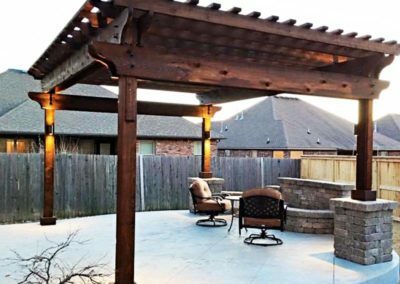 If you’ve been looking for patio ideas, a wood pergola is an excellent addition above your seating area. 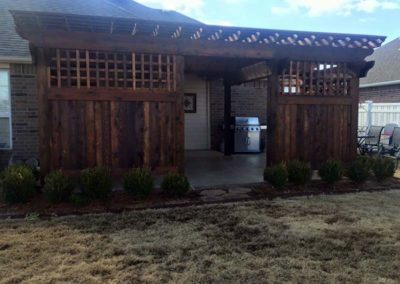 Investing in a pergola or pavilion will provide your family with an inviting outdoor living escape while protecting you from the elements. A pergola offers partial shade from the summer sun, while a pavilion offers full shade and water protection. 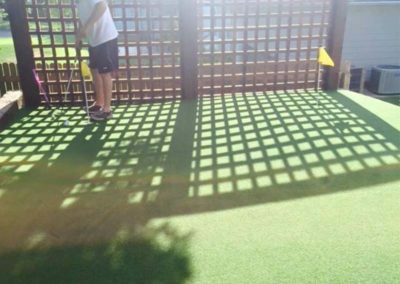 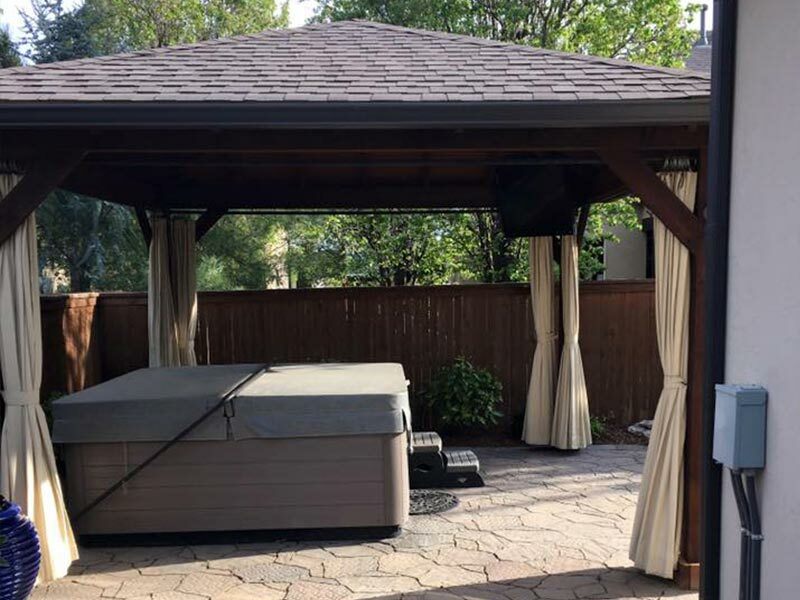 If you need additional protection, we offer other features such as: mesh covers for additional sun protection, mist systems to keep you cool, outdoor privacy shades, ambiance lighting, ceiling fans, and even multi person swings. 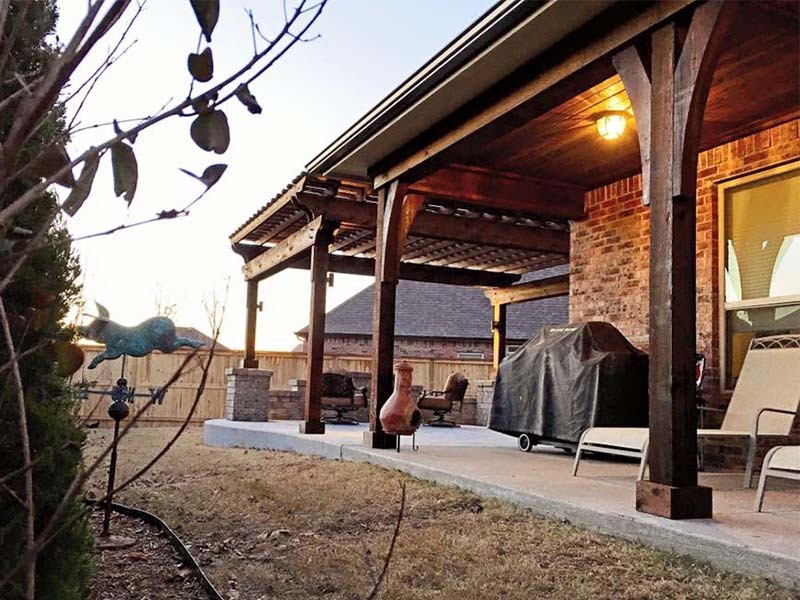 While there are countless do-it-yourself pergola kits on the market, 918 Outdoor has the ability to create a custom pergola to fit your property style, your personality and your desired specifications. 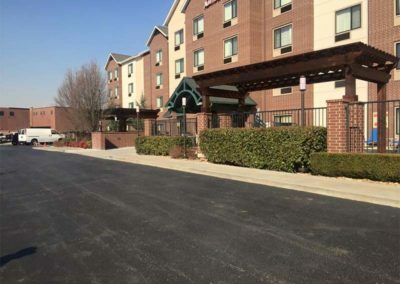 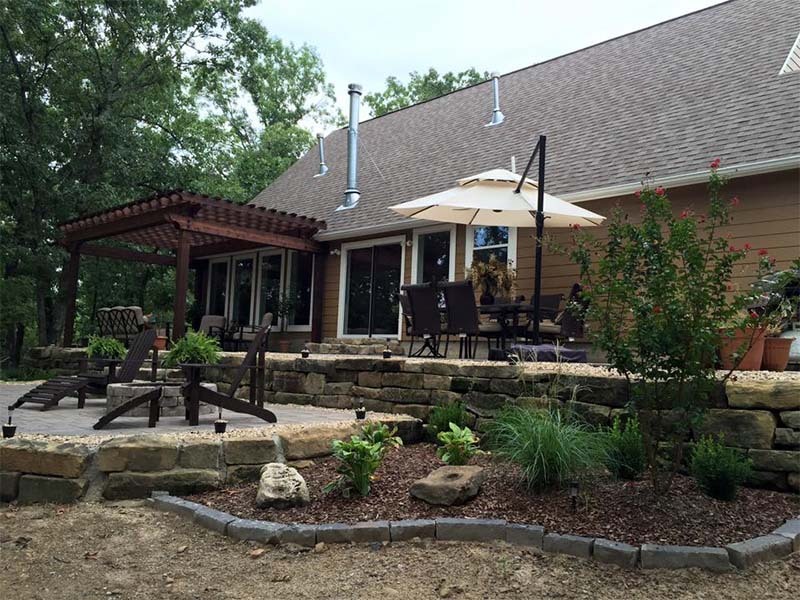 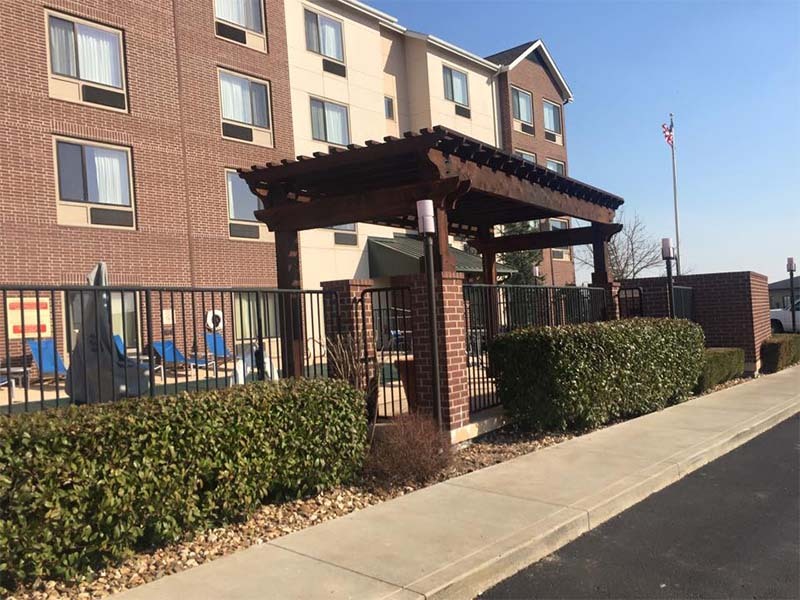 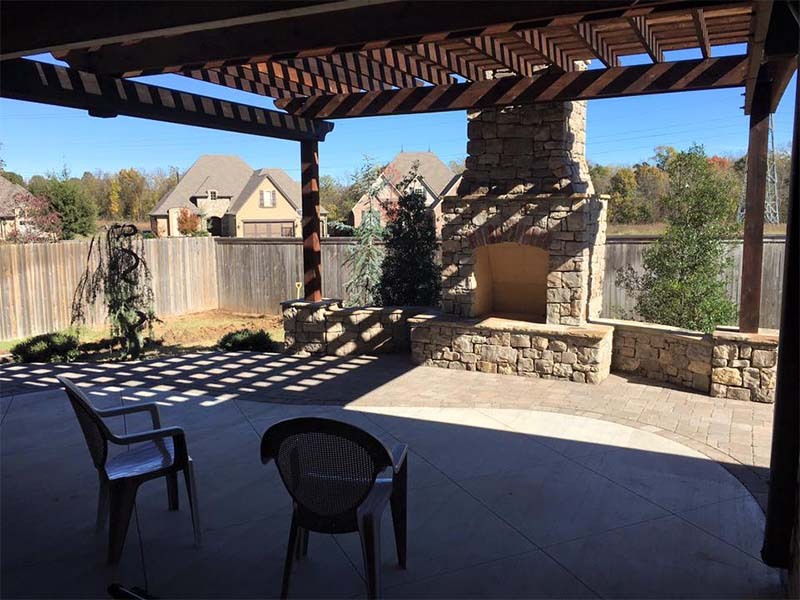 We offer residential and commercial construction for pavilions and pergolas in Tulsa. 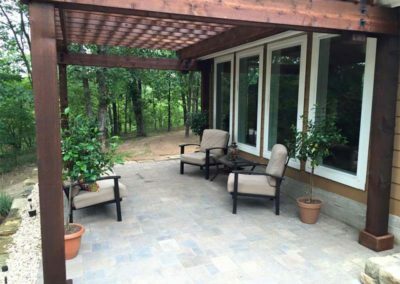 A patio pergola can be an economical upgrade to your existing patio or can be built onto a new patio project. 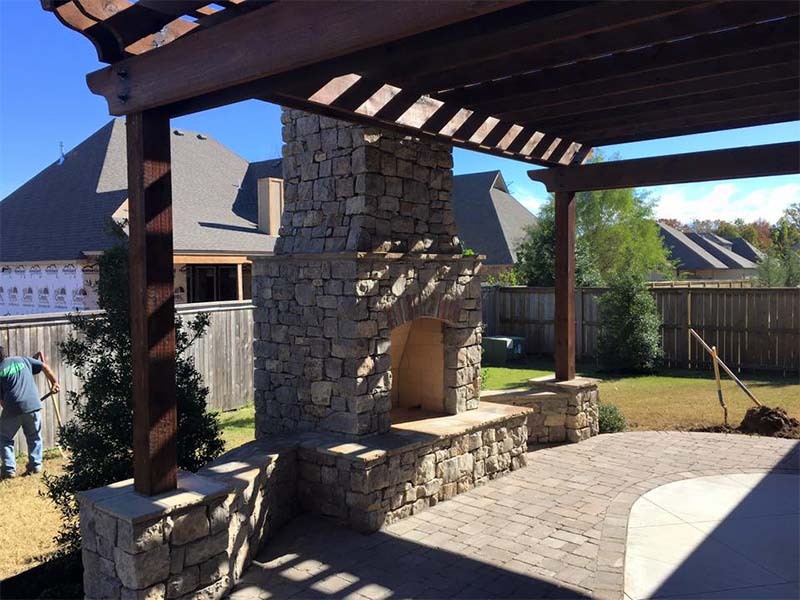 It provides an excellent sitting area for your outdoor enjoyment. 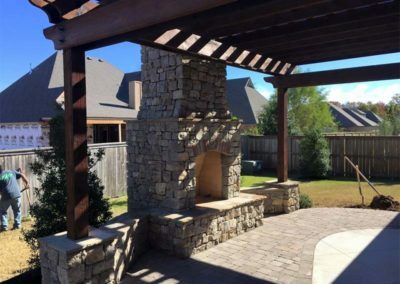 A professional pergola builder will help you create a pergola design that complements your patio. Building a pergola above your deck can give your backyard a big facelift while providing welcome shade and ambiance to your deck area. 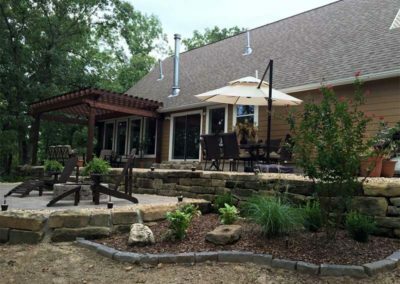 When looking for a pergola builder in Tulsa, look for a contractor with experience building decks to ensure your wood pergola has the necessary structural support. 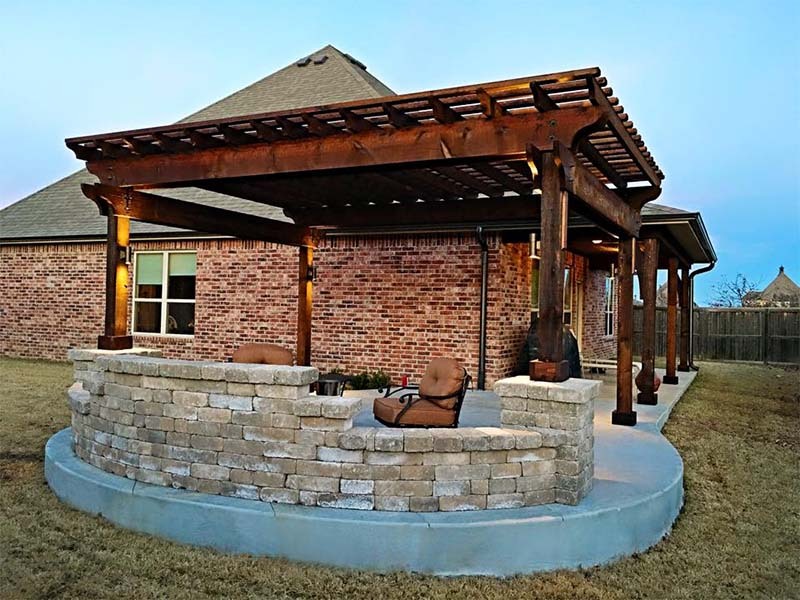 A raised pergola can be combined with rock or concrete columns and can be placed above existing or new patio construction. 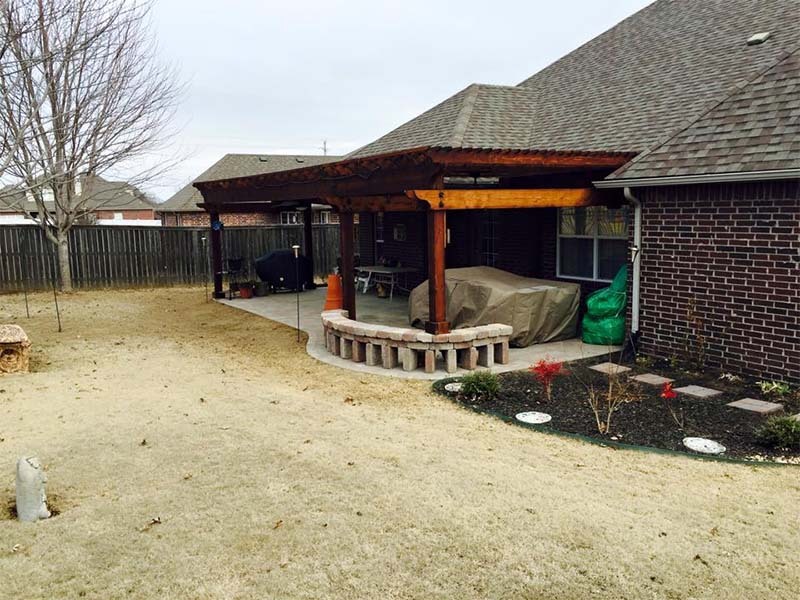 Building a raised pergola can add depth and texture to your Tulsa backyard project. 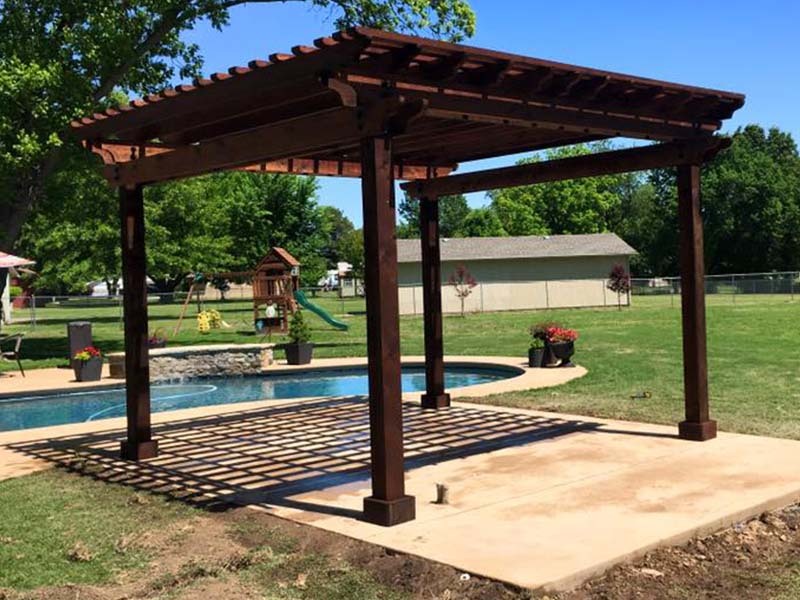 What’s the difference between a Pergola & Pavilion? 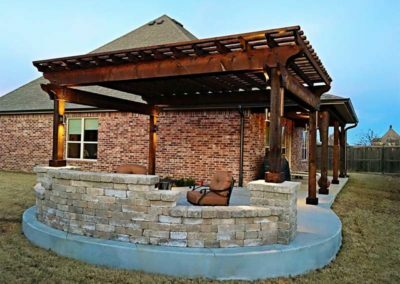 A Pergola is an outdoor structure with open sides and an open roof. 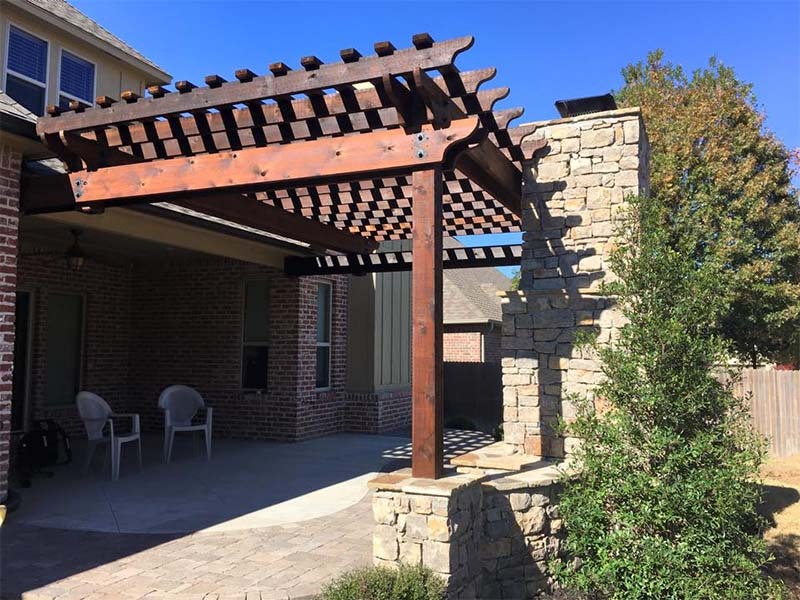 The roof of a pergola uses crisscross slats and rafters to provide shade and ambiance. 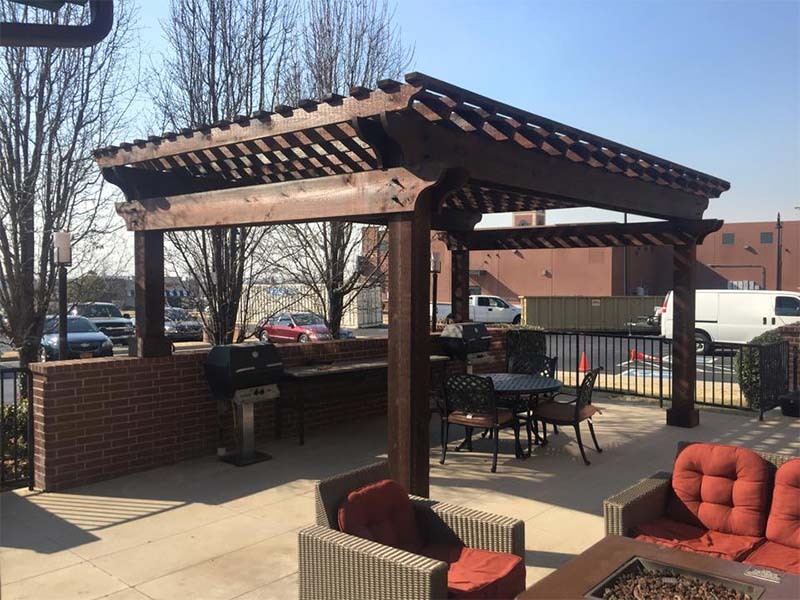 A pergola can be built above a patio seating area as a stand alone structure or used as a foundation for lighting, shades, plants or other outdoor decor. 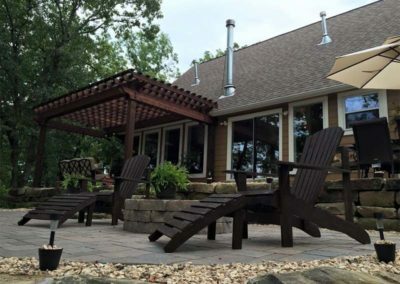 A Pavilion is an outdoor structure with open sides and a solid, sloped roof. 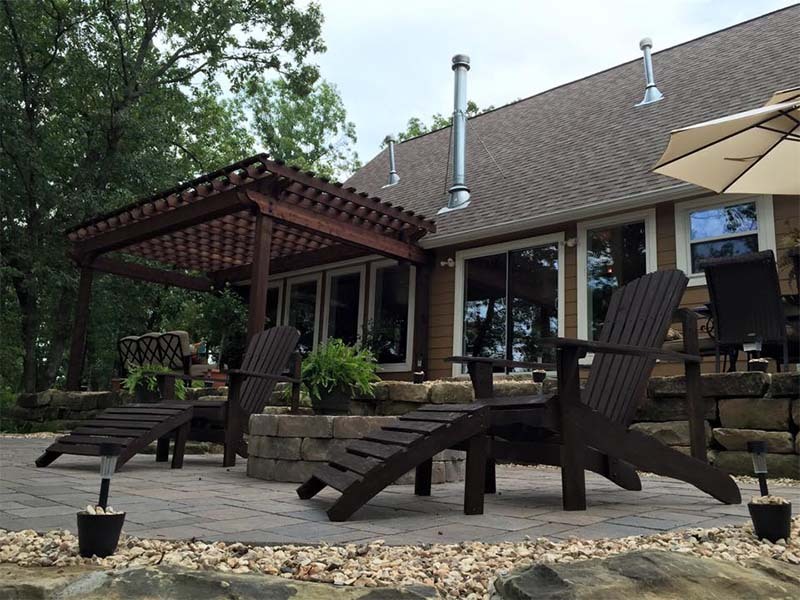 Pavilions provide shade and water protection for outdoor spaces. 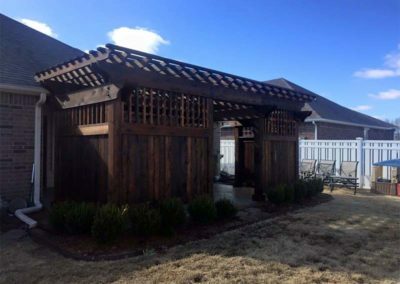 A pavilion may be added onto a home or built as a stand-alone structure, used as a shelter, outdoor kitchen, covered seating area, animal shelter, etc. Below are a few recently built pergola and pavilion projects. 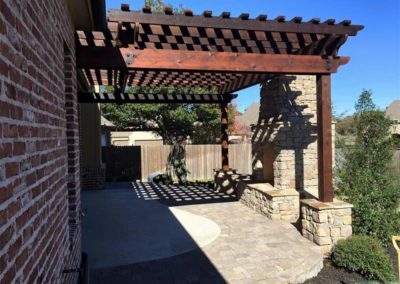 Why should I consider a pergola? 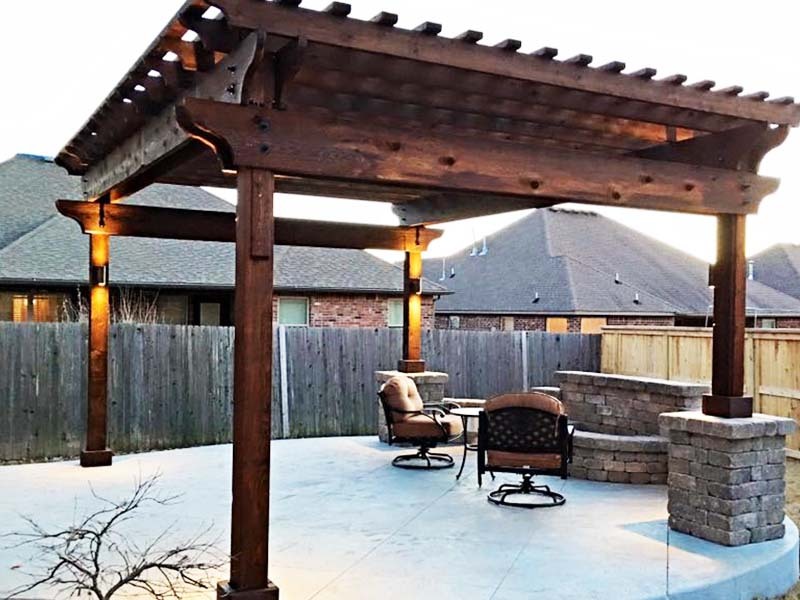 A pergola is an economical addition to your backyard that creates a comfortable place for friends and family to gather and enjoy time outside together. 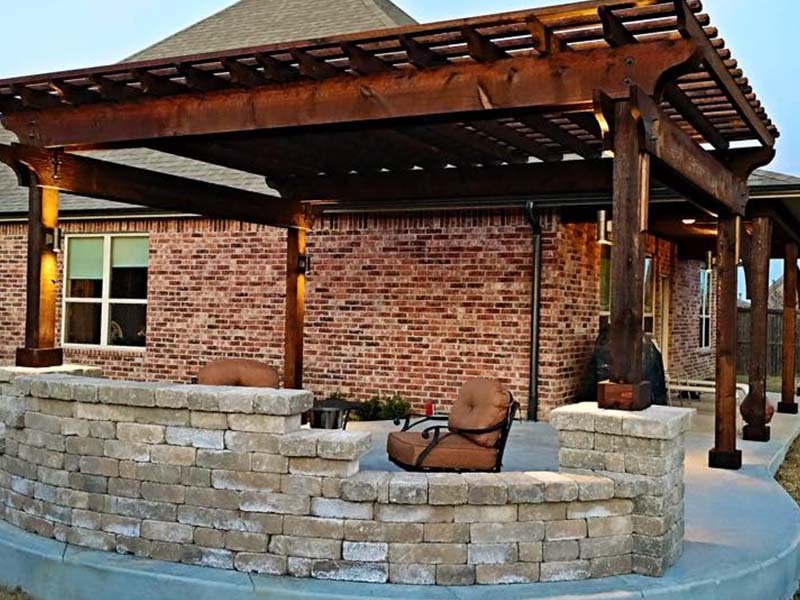 It’s a place to rest, relax, and rejuvenate from the day. 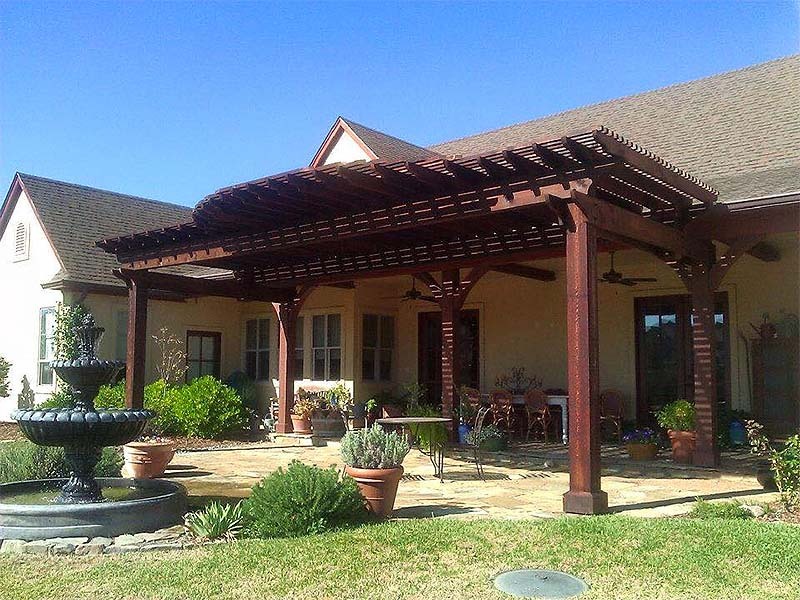 Pergolas also offer a great return on investment, increasing the property value of your home. 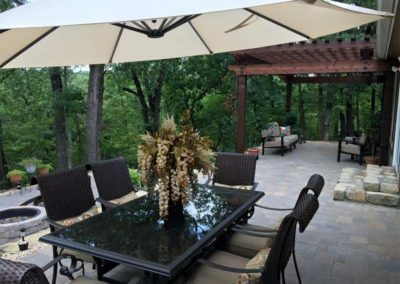 Pergolas offer shade and relief from direct sunlight in a sitting area, outdoor kitchen or walkway. 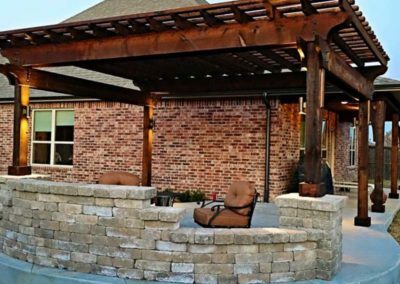 Pergolas are an excellent feature to add to your backyard, providing a cozy spot to relax and enjoy time together. 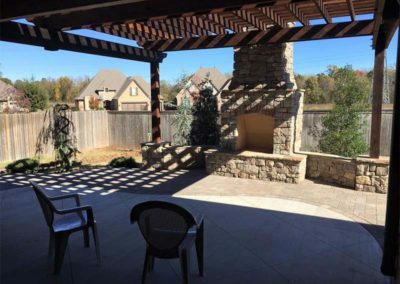 They can be outfitted with lighting, seating, speaker systems, audio/visual, and several other features to fit your lifestyle. 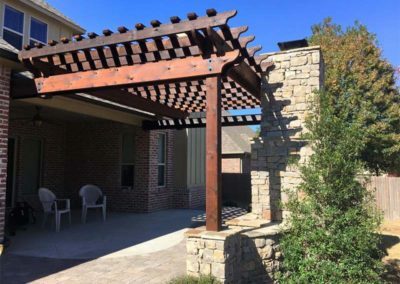 Do pergolas really block the sun? 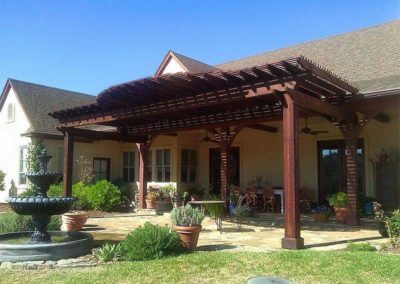 A pergola is designed to partially block the sun, while remaining open to provide air circulation while enjoying your backyard. 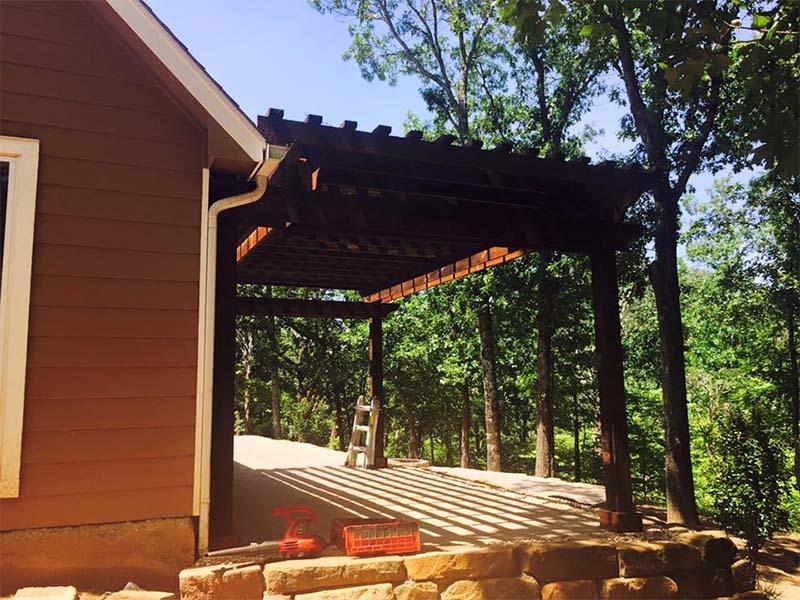 The roof of the pergola (consisting of rafters & purlins) block the majority of direct sunlight from passing through. 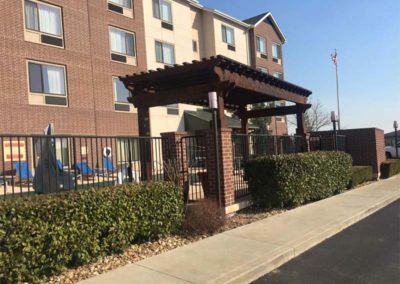 Pergolas also may be decorated with outdoor curtains, mesh shades, canopies or plants to provide even more sun protection. What kind of wood is used to build a pergola? 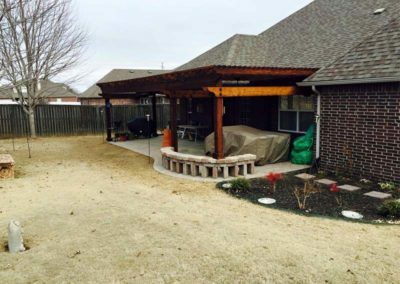 Pergolas are typically built from rough cedar. 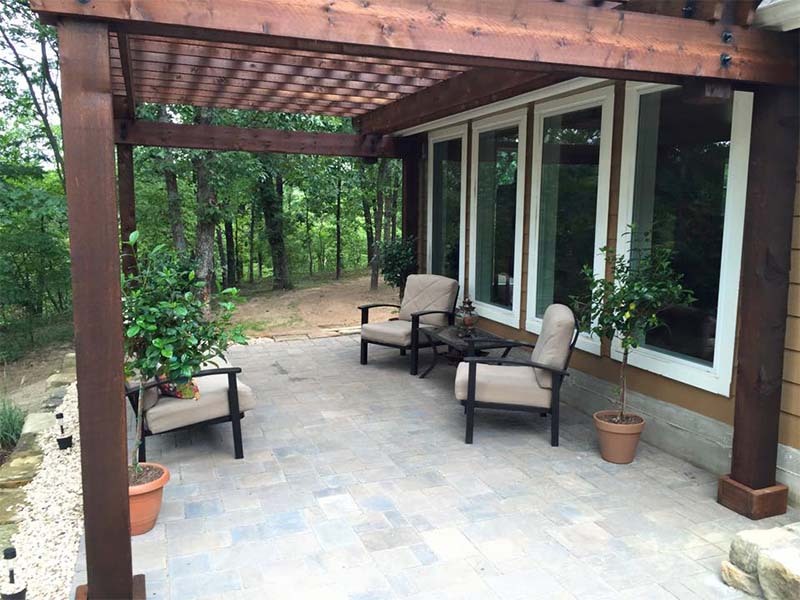 Cedar offers many advantages making it a great wood for pergolas. 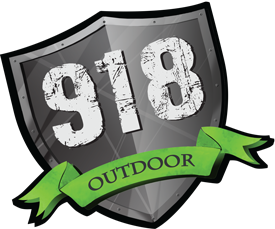 Cedar is 100% natural, containing no pressure treatment chemicals. 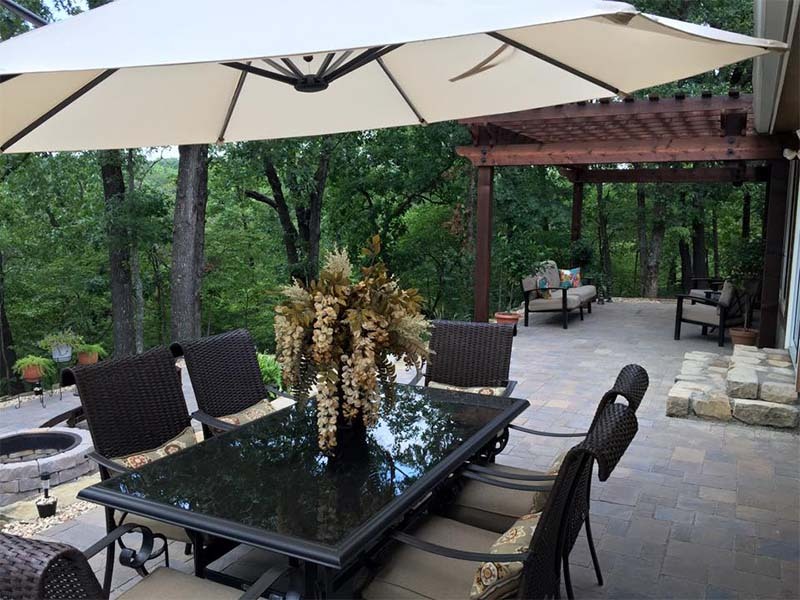 It is insect resistant, rot resistant, takes stain very well and lasts for years. 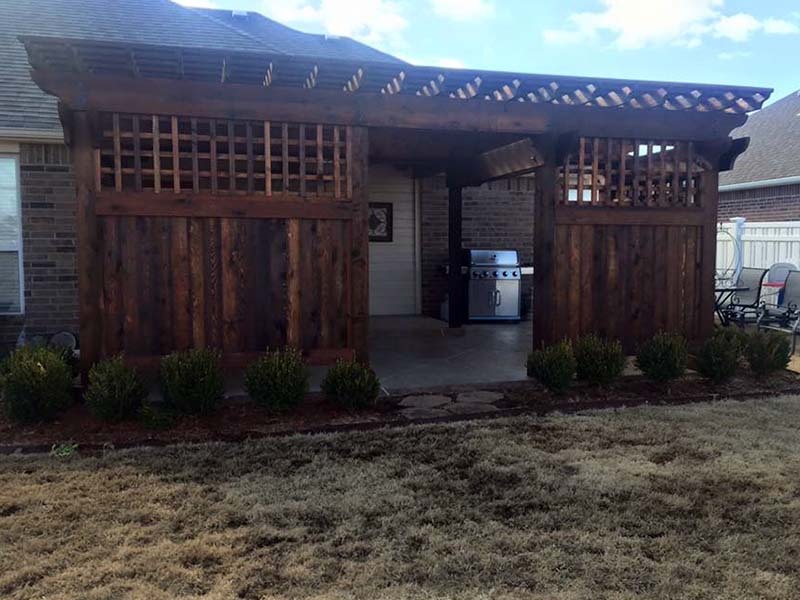 Cedar performs exceptionally well in our Oklahoma climate. Do you need a building permit for a pergola? 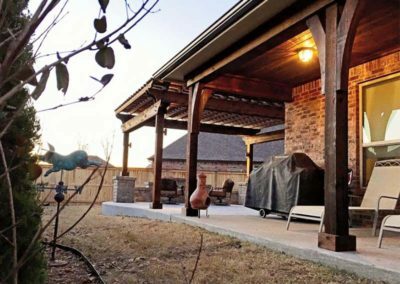 In the great majority of cases, a building permit is not required for a pergola or pavilion in the Tulsa area. 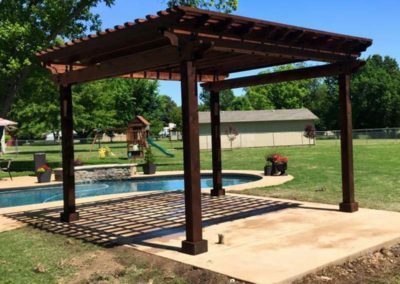 A free-standing pergola is not considered a permanent structure, and therefore does not require a building permit (in most cases). 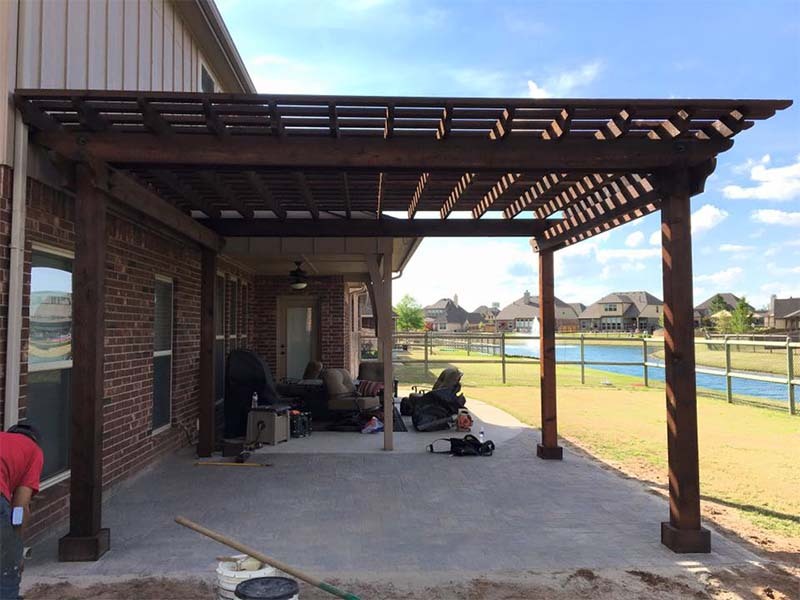 On occasion the pergola requires structural changes to tie into the home and may require a building permit.